The Isle of Wight’s multi million pound rural broadband project has been successfully completed with fibre broadband now available to 99 per cent of households and businesses on the island – making it one of the best connected areas in the UK. The partnership between the Isle of Wight Council, BT and the Government’s Broadband Delivery UK programme today announced it had achieved its target of reaching more than 20,000 Isle of Wight premises. 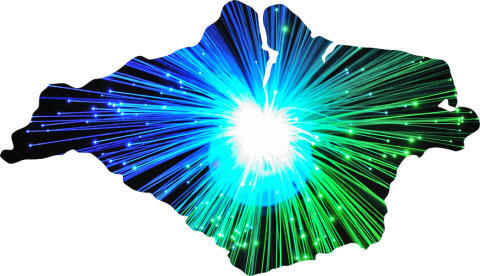 When combined with the 51,000 premises reached by the private sector’s commercial rollout of the technology, it means the Island now has 99 per cent fibre coverage. Demand for fibre has also been gathering momentum as more superfast broadband cabinets have been installed across the Island. The number of households and businesses using the new high-speed technology in locations covered by the project has already reached more than 4,200. Since the beginning of the broadband partnership, 109 rural fibre broadband cabinets have ‘gone live’ around the Island. The multi-million pound rural broadband partnership is jointly funded by the Isle of Wight Council, which has been investing £2.4 million to match the funding provided by the UK government through the Broadband Delivery UK programme - and BT, which was contributing capital and ongoing revenue funding of £2.7 million. The new fibre-based network is open to all broadband internet service providers on an equal basis, so customers – both residential and business - have access to a wide choice of broadband providers. Photos for UK BDUK fibre broadband partnerships can be accessed here. 99 per cent of Island premises to have NGA infrastructure. 90 per cent of premises in the intervention area to have immediate access to superfast broadband speeds of at least 24Mbps post project. £780 million to extend superfast broadband to 95 per cent of the UK by 2017. 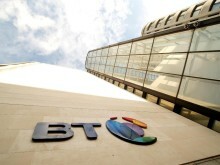 £150 million to provide high speed broadband to businesses in 22 cities. £150 million to improve quality and coverage of mobile phone and basic data network services.